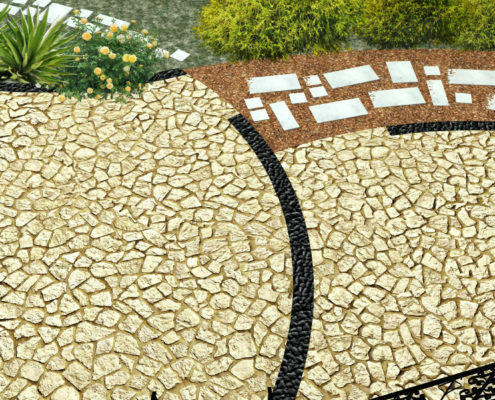 The brief concerns of a patio design of a house near the sea, in Kalamata, in Greece. The house is surrounded by a natural environment outside the city center. 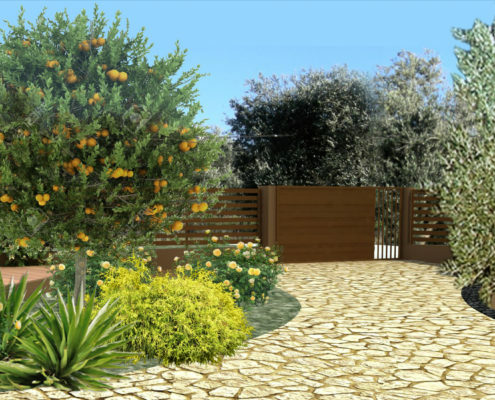 The existing garden was unorganized, with many useless free spaces. 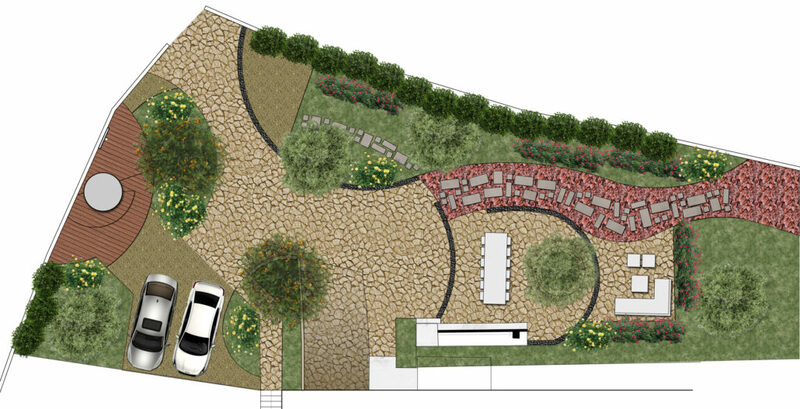 The client wished to create a new landscape including a nice garden with a patio where many events would take place. In the design there was the need of organizing the car space so that it wouldn’t be annoying for the tenants and the guests. An external douche made of wood was located near the existing water tank. This space can also be used as a small platform for the kids to play. This space can also be used as a small platform for the kids to play. Under the existing stairs that lead to the house a wall with a working bench and an external sink with cupboards is designed. 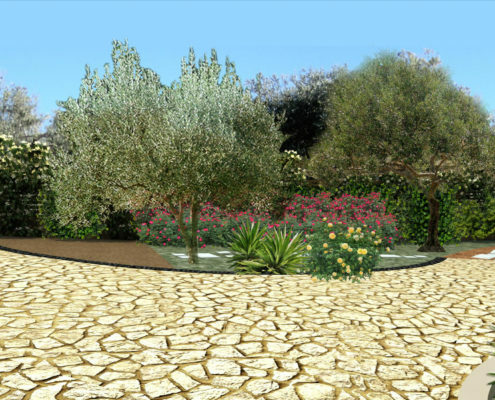 The design concept is to maintain the existing shapes (circles) around the existing olive trees combined with the circular water tank. 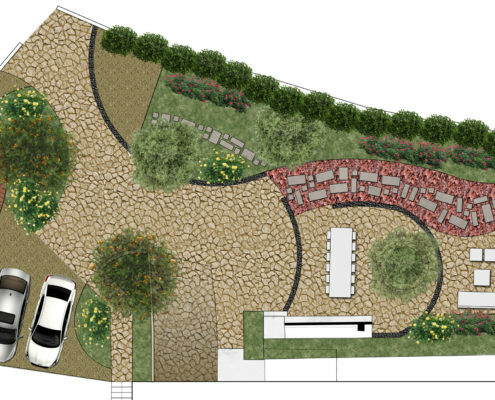 Thus, the patio is designed following arcs and curves that respect the existing elements of the landscape and are familiar with the natural space around. 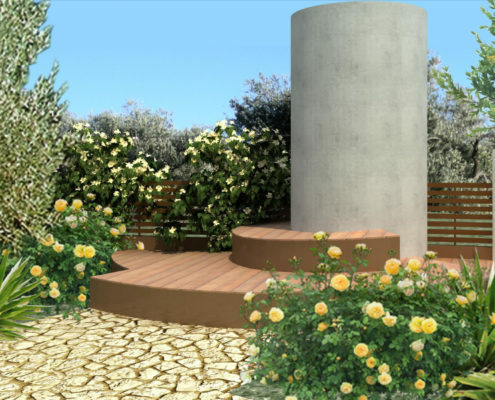 The patio is proposed to be constructed by stone, cement and wood deck around the water tank.